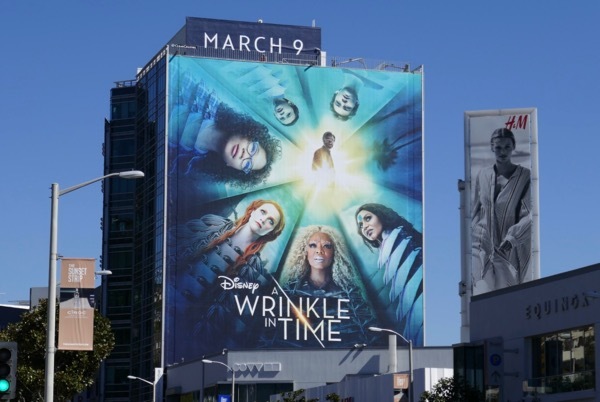 This March Disney and director Ava DuVernay bring Madeleine L'Engle's 1962 novel, A Wrinkle in Time, to life on the big screen for the first time. 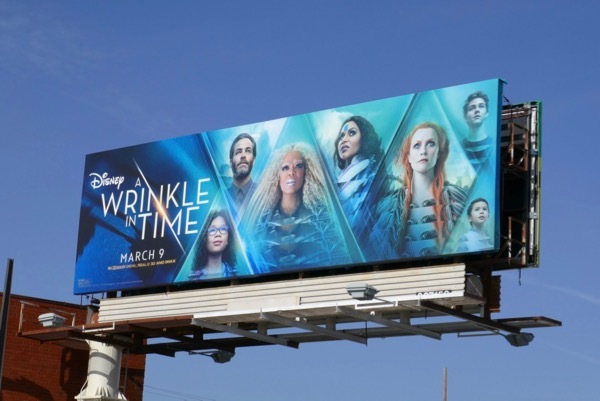 Storm Reid stars as 'Meg Murry', a young girl who teams up with her younger brother and new school friend to go on a quest to find her missing scientist father (Chris Pine), with the help of three mysterious astral beings, 'Mrs. 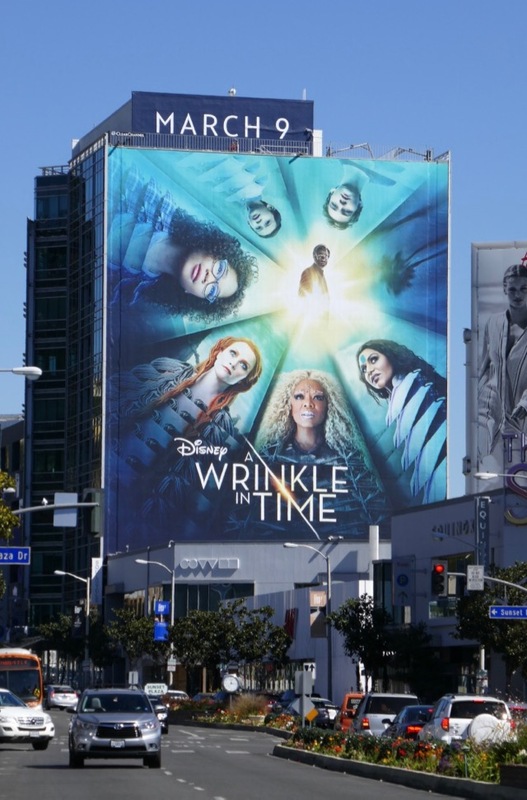 Which' (Oprah Winfrey), 'Mrs. Who' (Mindy Kaling) and 'Mrs. Whatsit' (Reese Witherspoon). 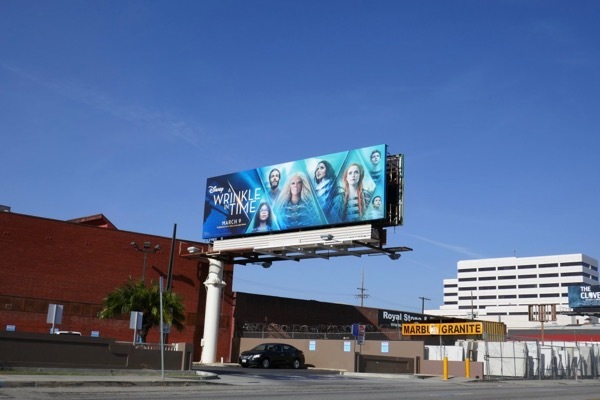 The landscape movie billboards were first spied along Sepulveda Boulevard, Cahuenga Boulevard and Beverly Boulevard on from February 11 to February 25, whilst the giant-sized version was snapped along the Sunset Strip on February 24, 2018. 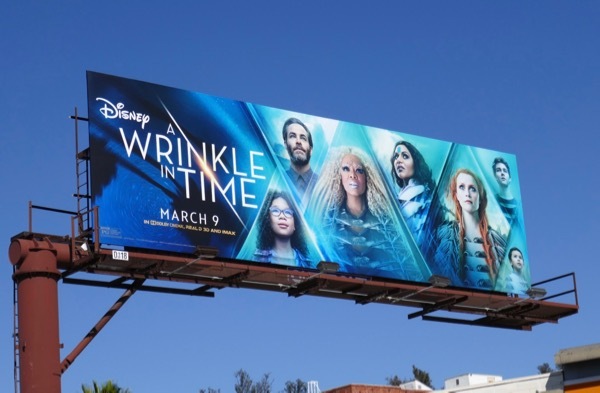 Oprah Winfrey fans can also check out these billboards for The Immortal Life of Henrietta Lacks and this giant OWN billboard. 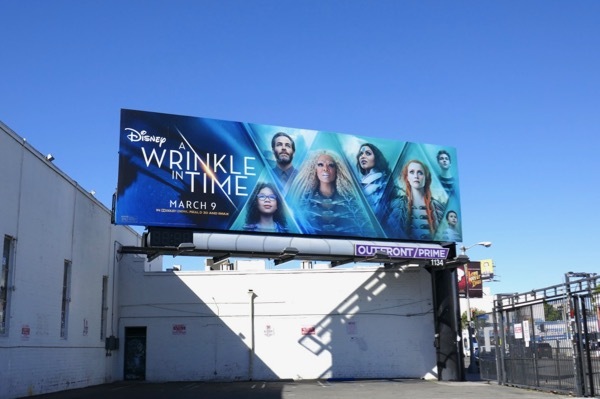 Meanwhile admirers of Reese Witherspoon can enjoy all these movie and TV billboards and Mindy Kaling fans can take a look at these billboards for The Mindy Project. 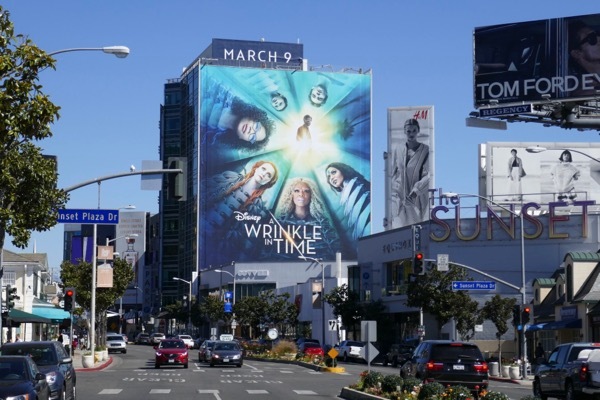 Students seem to be doing amazing things at the moment in America, so it's very timely and inspiring to have this live-action film about kids rescuing grownups and saving the universe from a dark, evil entity on cinema screens. 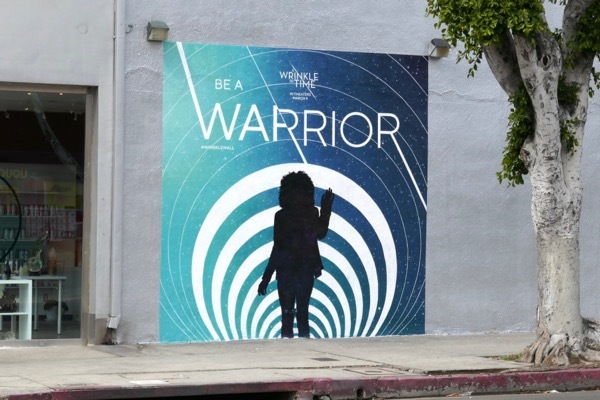 UPDATED: Here's also a cool 'Be a warrior' wall mural ad spotted along Melrose Avenue on March 7, 2018.